Decades before the advent of Tim "the Toolman" Taylor, Mandan's most notable actor would begin his television career as a handyman in a television sitcom, sponsored by a real tool manufacturer. Arthur H. Peterson, Jr. played variety of character and supporting roles on stage, television, and feature films but may be most remembered in today's television generation as "The Major" on the ABC Network series Soap during 1977-1981. His breakout role was in 1937 in the WGN Chicago radio serial The Guiding Light where he played Reverend Dr. John Ruthledge. Dr. Ruthledge and his congregration at the Little Church of Five Points, Illinois were the main focus of the show. It's title referred to the oil lamp in his character's study window that served as a beacon toward help for anyone seeking comfort. The show's writers "killed off" his character in 1946. Peterson had elected to remain in the Chicago area rather than relocate to Los Angeles with the rest of the cast and crew when its production was moved there. Jefferson Jones Role in 1972 Movie "Great Northfield Minnesota Raid"
Arthur was born in Mandan on November 18, 1912 to Arthur H. and Ruth M. Peterson. His father was Cashier for the State Bank of Morton County. Arthur, his parents and his sister Margaret would move to Minneapolis sometime after 1920. Peterson, Jr. would attend the University of Minnesota where he earned a Bachelors in Fine Arts in theater. While there, he would meet Robert Frost, the famous poet from Chicago. After graduation in 1935, he would move to Chicago. Working as a piano tuner while working to establish himself as an actor, his initial professional roles were with the first Federal Theater Project. Also among the theater troop was future wife, Norma Ransom. The couple would marry in 1937 and have two children, daughter Kristin and son Paul. Radio reached the height of its popularity in the decade ahead of World War II. Many of the national programs originated in Chicago. Peterson soon found steady employment with roles on Bachelor's Children, Girl Alone, The Story of Mary Marlin plus others. In April 1944, Peterson enlisted and served in the Third Army in Europe, under the command of General George Patton. To explain his absence from The Guiding Light radio show, the writers constriped his character Reverand Ruthledge to serve in the US Army as a chaplain. Peterson returned from Europe in May 1945 to resume his role on the show. After leaving the radio series in 1946, Arthur and Norma Peterson would start The Actor's Company stage actor ensemble and would focus on theater productions. But in March 1949, both Petersons would star in their first television series, with Arthur in the title role. ABC Network's first situation comedy That's O'Toole centered on the exploits of handyman Tinker O'Toole. The program, sponsored by the Delta Tool division of Rockwell Manufacturing, was produced in Chicago, but would not be renewed for the fall lineup. 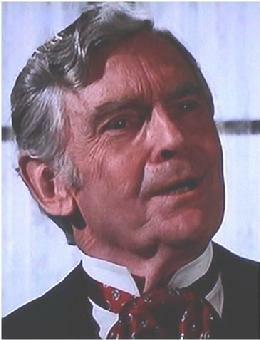 In 1948, Peterson appeared in his first movie, playing a part in the Jimmy Stewart picture Call Northside 777. 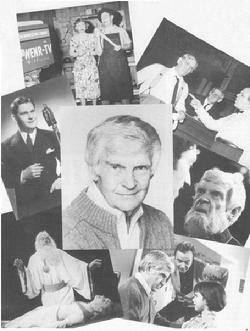 Peterson would return to the stage in a two-year run of Inherit the Wind starting in 1956. Arthur and Norma would move their family to the Los Angeles area in 1959. After his appearance in an episode of Gilligan's Island, he would find steady work as a television guest star including multiple episodes of Bonanza, Barney Miller, Bewitched, I Dream of Jeannie plus others. He also had a reoccuring role in for several months in 1969 in the daytime drama (i.e. "soap opera") General Hospital. In all, he is credited with over 100 television appearances. Peterson in "I Dream of Jeannie"
"The Major" in ABC's TV series "Soap"
In 1971, he would start the Actors Alley Repertory Theater in LA with a 70-seat theater building. The group belonged to a 40 member "Actor Equity Waiver Theater" actor union which allowed his group's 35 to 40 members to perform without salary for public viewing. His film career included at least 9 major studio productions including Born Wild (1968), The Great Minnesota Northfield Raid (1972), and Rollercoaster (1977) all in supporting roles. 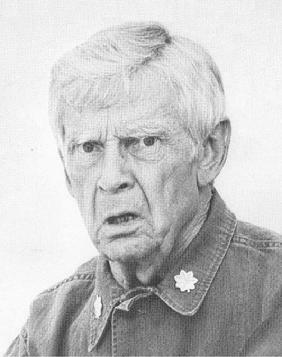 After his role with the television series Soap was complete in 1981, Peterson accepted an appointment as guest artist at George Mason University in Virginia where he taught classes in acting and developed original materials such as The Monster and The Bride and Stephen based on the writings of Stephen Crane. He also co-authored with June August, one-man show titled ROBERT FROST: Fire and Ice, based on the life and works of the famous poet. He would also meet and work with David Arrow while there, who was instrumental in bringing the show into an off-Broadway production during the summer of 1984. Arthur also recorded the work for AudioEditions. Arthur's theatrical projects during the early 1980s included founding two more performance groups, the American Grass Roots Opera and Theater Association as well as The Catalyst Company. Peterson spent 1981 to 1991 opposite his wife in a Pasadena Playhouse production of The Gin Game (made famous on Broadway by Jessica Tandy and her husband Hume Cronyn) which toured the country in the early 1980s but would which eventually settle into an extended run in Pasadena. Eventually, The Gin Game would be presented on alternating nights with his performance in the one-man Robert Frost work. But when the plays' long run ended, Peterson and his wife retired from acting. Norma Ransom's television credits included supporting roles in Little House on the Prairie, The Bionic Woman and Most Wanted plus commericals for Greyhound, H&R Block, and United Airlines. Norma also starred in a film series which Walt Disney Studio's distributed in which Arthur had a bit part. Arthur Peterson fell victim to Alzheimer's disease and died on October 31, 1996 while a resident of the Amberwood Convalescent Hospital in Pasadena, California. The Society would like to thank June August, the former Editorial Director for Walt Disney Educational Media Company and Peterson's prot�g�e, friend, and collaborator for sharing several photos with us.